Star Wars: Episode VIII – The Last Jedi is one of the biggest cinematic spectacles of the year. In addition to returning characters like Luke, Rey, Finn, and Kylo Ren, the eighth film in the Skywalker saga will add several new facess, such as Benicio Del Toro and Kelly Marie Tran, the "biggest new part" of The Last Jedi. As the actress revealed at Star Wars Celebration 2017, her character's name is Rose, she's a member of the Resistance, and she's also a maintenance worker. 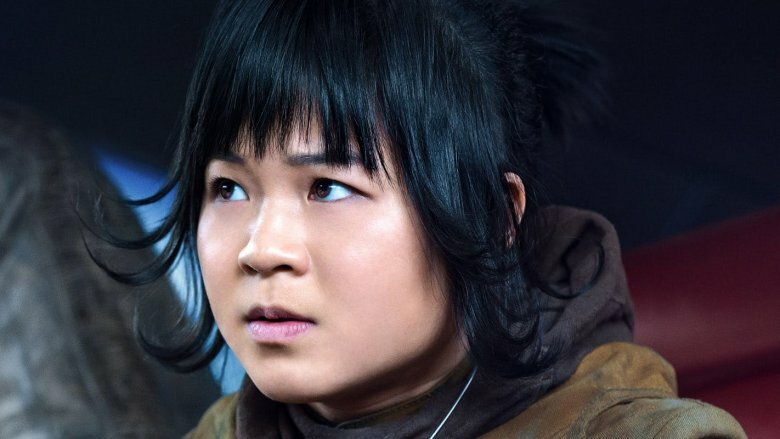 Kelly Marie Tran might not be a household name yet, but it won't be long before her face is gracing thousands of action figures and posters. Nonetheless, she might look awfully familiar to Star Wars fans, and with good reason. Here are just a few of the places you may have seen her before. Kelly Marie Tran grew up in San Diego, California, and caught the acting bug early on. In high school, she took to the stage, appearing in plays and musicals throughout her secondary education. While earning a degree at UCLA, Kelly signed on with several improv comedy troupes, including the notorious Upright Citizens Brigade, IO, and Second City. Finding a taste for and an outlet in the world of humor, she soon made the transition from the improv stage into the wacky world of online videos. During the course of 2011, she appeared in the first of several web shorts, "Untouchable," about a massage therapist searching for deeper connection. Subsequent shorts included the darkly satirical "The Rising Cost of Cosmetics" and the relationship dramedy "Impressions." She also landed a one-off role in the web comedy series "This Indie Thing." Although the low-traffic YouTube world was a modest start for Tran, it got her foot in the door and marked the beginning of her own journey to The Last Jedi. Tran's first starring role came as a cast member of the YouTube comedy series Ladies Like Us. A meta-commentary of sorts, the web saga follows the adventures of three would-be up-and-comers from an all-female comedy troupe. The series explores the challenges of attaining fame and fortune in the wannabe-saturated world of Los Angeles. Each webisode also explored or parodied standard character tropes like personal insecurity, bad boyfriends, and expectations foisted on women by Hollywood and the media. Along with her costars Kristina Cohen and Hallie Jordan, Kelly truly gets a chance to shine here. Her quirky character amuses and provokes, but mostly just charms the audience. The show's hip-hop-fueled vibe and crude elements are reminiscent of the ladies from Broad City, which started up on the East Coast a few years prior. Tran and company also landed a short-lived spinoff, Ladies Like Us: The Rise of the Neighborhood Watch on SlapTV—which retained similar themes and characters but changed their names and featured a somewhat meatier budget. Tran next made her mark on the acting world by landing a small role on the short-lived NBC series About a Boy. Based on comedic British writer Nick Hornby's eponymous novel and its subsequent Hugh Grant film, the show stars David Walton and Minnie Driver. Although the show only lasted for two seasons, it garnered a cult following and above-average critical ratings. The one-camera sitcom shadows man-child singer-songwriter, Will, as his awkward relationship with his neighbors, a single mother and her preteen son, usurps his otherwise libertine lifestyle. Their neurotic banter and kooky situations often play out for some amusing if formulaic situations and a handful of Two and a Half Men-like gags. On the show, Tran popped in twice as Marguerite, a thoroughly inattentive babysitter who watches after Fiona's son. Hardly the breakout role for the young actress, but it did allow her to flex a few comedic muscles on a major network-based sitcom. College Humor stared up as, unsurprisingly, a college humor website. In 2006, they kicked off their sketch comedy YouTube channel, and by 2016 they'd won several Webby awards and racked up 11 million subscribers. Over the years, CH Originals has cranked out hundreds of skits, animations, and stand-up bits lampooning geek and pop culture, politics, and human nature in general. For two years, Tran partook in the lunacy, acting in several madcap webisodes and creating some memorably amusing sketches. Among the wittiest clips was her role as a member of a political correctness-monitoring Asian council in "Are You Asian Enough?" She also dropped by a startup app developer in the poignant yet funny "Why Net Neutrality Matters (and What You Can Do To Help)," also featuring comic Adam Conover. She was also one of the four cornerstone actresses in the educational spoof "Periods Aren't That Gross." Throughout the mid-2010s, Tran began to crop up in some fairly famous places. She wound up with a small part on the IFC series Comedy Bang! Bang! as a friend of the character-swapping Scott Auckerman in the episode "Thomas Middleditch Wears an Enigmatic Sweatshirt and Sweatpants with Pockets." She also landed a few quick spots on Jimmy Kimmel Live!, in addition to whipping out her dramatic skills for a small role on the Lifetime television series Fall Into Me. Anyone without a DVR is probably familiar with the "truth" campaign, funded by the Truth Initiative. The nonprofit organization is responsible for crafting hundreds of anti-tobacco ads, each meeting with varying degrees of success. The campaign often uses contemporary themes, pop cultural references, and sometimes controversial tactics in their public service announcements. 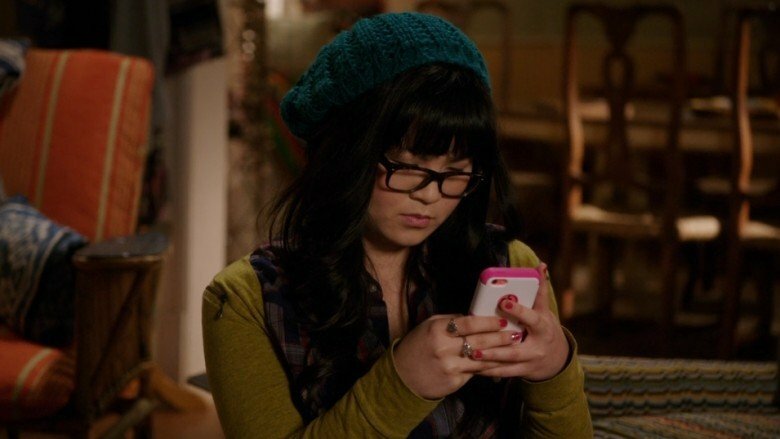 After running a gauntlet of web and TV series, Kelly Marie Tran found herself literally assaulted by the wild world of Internet memes. A 2015 truth commercial depicts a group of kids at a party who spout off smoking myths and are subsequently contradicted by the "It's A Trap" meme—a reference to Admiral Ackbar's classic line from Return of the Jedi, when he realizes the Empire is waiting for the Rebel Fleet. In the commercial, Kelly is about to drop a social smoking excuse when she's attacked by a cartoon walrus that shouts the catchphrase meme at her. In light of her role in The Last Jedi, the Star Wars-inspired ad seems practically prescient. As Tran built her voice and her personal brand, further online adventures were bound to ensue. In addition to her work on network and cable TV, the burgeoning actress landed roles on several web series, like Hope & Randy—where she plays the roommate of the eponymous couple—and Discount Fitness, which takes place at the worst gym in Los Angeles. In 2016, she wound up with a major role in a full-length TV pilot about a band of rowdy bar trivia junkies. Produced by There Will Be Trivia, the team behind Discount Fitness, Pub Quiz co-starred towering Night Court security guard Richard Moll, The Cleveland Show voice actor John Viener, and Jonathan Bray. The TV flick follows a gang of screw-ups and their misadventures as they seek to dominate the liquor-soaked bar quiz world, even going so far as to track down Jeopardy super-winner Brad Rutter. Although the series hasn't received a go-ahead from any networks thus far, it's still a great vehicle for watching Tran operate in a group environment. Of course, The Last Jedi will comprise an ensemble cast on a far grander scale. The closer we get to Episode VIII, the more we can watch Kelly Marie Tran's career begin to trend upwards, with her visibility only growing alongside each new project. Her bit part in the Netflix original movie XoXo, on the other hand, seems a bit anticlimactic after her starring role in Pub Quiz. At the same time, Netflix movies are viewed by millions of people across the globe, so even a small role comes with a great deal of exposure. A little short on plot logic, XoXo explores the rave scene in a stylized, High School Musical-esque manner (aside from the rave drugs anyway). The picture follows six ravers—sadly, Kelly Tran isn't one of them—as they arrive at a massive techno-fest. While Tran's role isn't huge, she does enjoy a highly transformative part, portraying the "Butterfly Girl." Fans can catch a glimpse of her at the end of the trailer above, wearing, unsurprisingly, butterfly wings. With The Last Jedi about to launch her career into the stratosphere, the chrysalis/butterfly metaphor certainly seems appropriate. Only time will tell where this young, up-and-coming actress will go from here.